Hope that you had a wonderful Christmas my friends. I was greatful for another year celebrating Christmas with all my family. The next day I was pooped. Well now that I recovered from the holidays I seem to have gotten my second wind. It has been one of those older projects , well 4 months ago old. 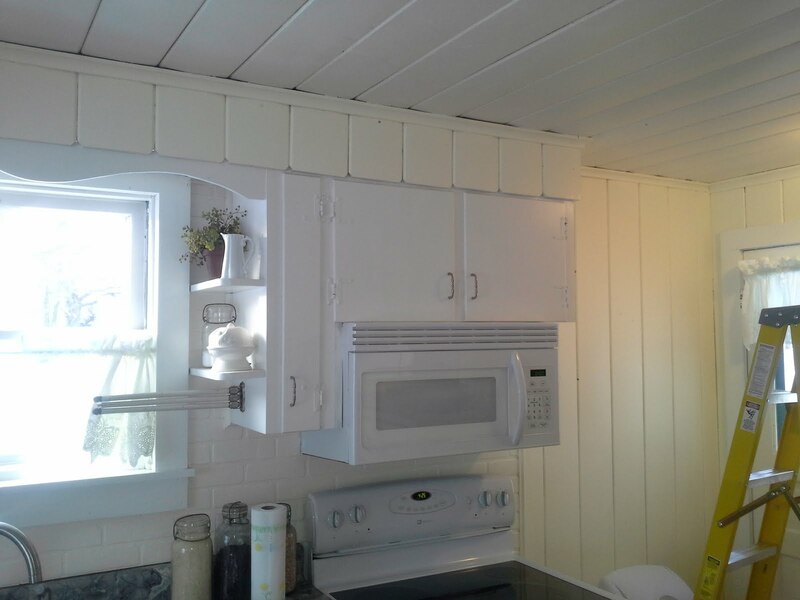 I have never really been completely satisfied with the chosen color of paint in the kitchen of the depot. I chose a light gray tone on the walls with white cupboards that I painted also. Well everytime I was in the kitchen I just felt that it was not bright enough for me, sooooo I'm painting again. I must say that I love this color! I went with a light buttery yellow and let me tell you it appears sunny and bright. 2 more walls left to paint then I will show you more. I am also thinking of changing out a few cupboards and kitchen table for a really cool long island. So stay tuned for more updates. Also I hope I am blogging alright since I am using my new notepad for the first time blogging. Happy new year everyone. Loving the light buttery yellow painted walls. Makes the whole room brighter and cheery.